In this weeks SOS (Shop Owner Series) we talk about Instagram. Are you doing it right? Well, if you've struggled or are new to Instagram, here are some great tips on building your jewelry business better on Instagram. We hope it helps! There are so many positive benefits to Instagram. For starters, it offers you the perfect visual environment, as an image-based site, to properly showcase your products. It then allows you to interact with your customers and build a loyal fan following as well, as a social network. If you are set to begin selling online, you can make the very most of this social sharing opportunity by incorporating some of these great practices! A definite must is to have quality images. The truth of the matter is that you can have two photos of the same piece and one will not come even close to representing it, while the other makes them look so appealing to the viewer. Finding a way to diffuse your lighting is a great place to begin. This way shiny surfaces will be kept from becoming overexposed and possibly even turning white. It will also help you to capture some sparkle ad shine while distributing the contrast. For this purpose, you can quickly and cheaply build yourself a simple light box that will work great in getting the job done. We found this video that shows you have to make your own light box for photography. You will then want to be certain the photos are in focus and then slowly take a few moments to crop and edit them to perfection. So that your colors show up accurately you will want to fix levels and to give a true representation, boost or reduce saturation. Also, take advantage of the robust tools that Instagram offers in editing your photos. Sometimes you can turn a not so great photo into a hero simply by editing with lighten, sharpen, tilt and more. Make sure the surface you select is neutral in color and will not distort or clash with the jewelry colors. One thing that works great is plain white paper. Still another would be a natural surface such as stone. You want to be certain to clear any debris off the surface that you will be photographing the jewelry on. Every little detail in the photo is going to stand out since you are photographing something which is small. You may also want to try things perhaps like driftwood, or perhaps even jewelry store displays. You want to experiment a bit with different background and lighting combinations. It will take a bit of time and effort, but you will develop the perfect technique to suit your jewelry by doing this. Some use scrapbooking paper or wrapping paper as a background. Be creative but make sure your jewelry is the hero and the background matches your brand. Modeling photos are something else you want to take. Letting the buyers see the jewelry being worn helps give them thoughts of just how it will look on them! Should you find that your jewelry beauty and details are not being fully showcased, you can get help improving the photos with the help of an editing service like Pixc or RemoveBackground. Your goal is to persuade a potential customer, when coming up with a product description, that your jewelry is perfect for them to buy. You want to be clear and direct, but you also want to have some fun with it. Important details have to be included like materials, colors, dimensions and options, but you do not want to simply list these details. The description you want to create should be a beautiful, sparkling one, shining as much as the jewelry does. And you want to also relate a story about the jewelry. Describe how you crafted it, or the history that it has. If all-natural materials were used in it's creation, tell where it was they came from. Give suggestions for pairing it with attire and tell about its effect when worn. You should also mention the benefits of the pieces along with its features. What is the Difference Between Features and Benefits? This is the easiest way to give this thought: The problem that the service or product solves for the customer is highlighted by the benefits. The details about how any problems are solved are the features. You will want to know your customer to best figure what benefits you want to emphasize. You will certainly be able to increase your online sales and conversions by figuring just who your primary audience is and just what matters to them most. Your jewelry will want to be a part of a lifestyle. Reach out to potential buyers that are enjoying that lifestyle now and are interested in enjoying it even more! On Instagram, a cornerstone to your increasing exposure for your jewelry is proper hashtag use. Besides reaching current fans, you will also reach new followers to contribute to the conversation when you include the right hashtags. Try Hashtagify.me for some data on hashtags to help you plan your strategy. On every image that you post, you can include up to 30 hashtags on Instagram. The truth is you are better off using 5-15 hashtags, even though you will be tempted to use more, that are relevant to the posted photo. 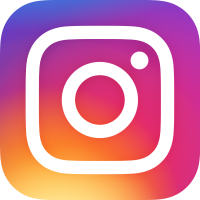 To monitor your Instagram, you can use Websta or Iconosquare. It will give you an idea of the engagement you receive, which posts are liked the most and more. On Instagram, one of the very best ways to increase your brand's popularity is to collaborate with influential Instagrammers. Look for those accounts related to jewelry and fashion and get in touch with these influencers to see if on one of their posts they would be willing to feature your product. While it will likely cost you some money, working with a non-celebrity influencer, it will most likely be far less than other different forms of advertising online. And as long as you partner with the right influencer, it should lead to increased website traffic, visibility and sales! It is simple enough to find influencers. Go to the built in search function on Instagram and search for relevant hashtags/keywords. Go through the results and put a list together of those you would choose to collaborate with. You then need to do some homework. Keep in mind that the influencers you are seeking you want to be able to drive action, as well as have a large following. Sometimes a following of 2-10k is better than one with 200k if you take a look at the actual followers. Make sure you reach out to accounts that seem more organic than built with bought fans. They create quality and beautiful content. They post on a regular basis. Their posts receive high engagement. Interacting with them is the fastest and simplest way to get on the radar of an influencer (and their followers). Start on Instagram by engaging with their content. You can comment on their posts. You can also in the same way interact with their audience. You can then reach out personally to an influencer by email or by phone, once that your integrating with them on Instagram has laid a foundation. Get to know them a bit and inform them you believe you have something that their audience will love to offer. You can then offer a free product or service for them to try if they are at all interested. Their audience can then be informed about it. To promote your jewelry business, a great thing about Instagram is it can be done in a number of ways. Not every single post needs to be an item listing. You can showcase items you are currently crafting, add in tutorials, or share your daily life in posted photographs. And every promotion need not be direct and blunt. There will be those times when your jewelry simply happens to be present in a compelling post story being offered! To link up Instagram to an off-site jewelry shop at one time took all sorts of convoluted steps. Today, with the help of Have2Have.It (soldsie), it is really easy. When on you integrate this app on a product in your Instagram feed, shoppers have the option of clicking a Have2Have.It link. They are then directed to a shop page where they are able to check out. Buyers will feel comfortable making their purchase because the shop page design will be just like your Instagram feed design. Now, to get started selling your jewelry on Instagram, you know all that you need. Just remember to always respond to comments and messages and interact with your fans and customers. We hope these Instagram jewelry business tips open great new doors for you! For more SOS, click here. If you would like to add some of your own tips or have a question, enter in the comments below.